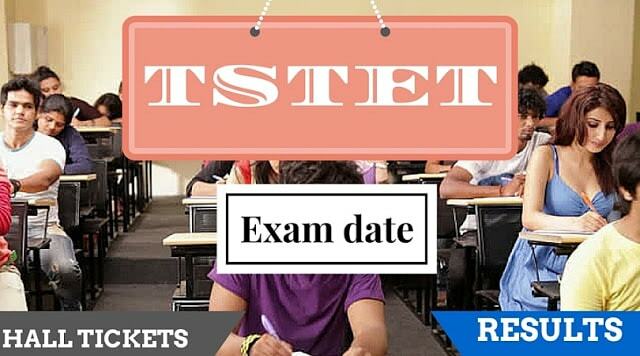 TS TET Exam date and New dates for Telangana TET 2019: The Telangana government in June announced a fresh schedule for conducting Teacher Eligibility Test (TET). While the TSTET would be conducted in June. TS TET was scheduled to be held in June last week. The T government rescheduled the examination dates as the private educational institutions joint action committee had refused to provide their college premises for conducting TET to register their protest against vigilance raids. Addressing a press conference at the secretariat, Deputy Chief Minister and Education Minister Kadiyam Srihari said all government institutions and staff would be utilised for conducting the exams. “A decision has been taken to conduct TSTET in June last week, which was postponed due to the non-cooperation of private institutions.” the minister said. Candidates appearing for TET can download their hall tickets from .......... and exam would be held from 10 am to 12.30 pm (paper-I) and 2.30 pm to 5 pm (paper-II) on .............. Results would be announced on ......... “To organise TET, we have identified government institutes in district headquarters. Both, EAMCET and TET candidates need not worry about the academic year as postponement of exams will not affect it,” Srihari clarified.